The addition of a Japanese garden to your front yard may enhance the salability of your home. An intriguing front yard of any type adds ambiance to a property. If a prospective buyer is drawn to your yard, perhaps he may be intrigued enough to view your home. At this time of the year, the Japanese front yard stands out as one of the most eye-catching; it is because it does not need flowers to enhance it. 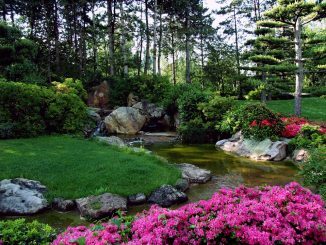 Its charm is there regardless of plants; Japanese gardens follow Zen philosophies and are not difficult to reproduce in North America. They will lend themselves to any climate and any variation of plant. Creating a Zen garden may even bring you some Zen contentment as a side effect! In “Your Own Japanese Garden: Part 1”, the concept of assembling your own garden was discussed with particular attention to its ambiance, focal points, rocks and lanterns. In this section – “Your Own Japanese Garden: Part 2”, the plants, water, bridges, vessels and aging aspect are all explored. Plants in the winter can be fairly non-existent but your Japanese garden will still look good, because it has an intriguing design that does not rely on blooms. Snowdrops and a Japanese flowering cherry may be your first blooms in the spring. If these are unavailable to buy in your climate, use a local tree, shrub or cactus. For a tall backdrop near a fence there is a flowering Japanese daisy that does well in cool climates. It is most commonly seen in white or pink. If you really love your blooms, then spread them around as you wish! Pansies lend themselves well to the Japanese garden and also honeysuckle (plant it near your seating area to enjoy the scent). Lilies and gladiolus also blend in with the look, and if you have a pond, add water lilies. One of the plants that somehow looks Japanese is the begonia; they come in miniature or regular, and their colors are vivid. If you live in an area where not many flowers will bloom, try sticking to one color; consider buying every flower in white to keep to the simple idea. If you buy evergreens, remember that you can choose from yellow, gray-green and blue-green as well as the traditional green. The red-leafed bush is also a colorful addition, and good ‘filler’. If you live in the desert, choose from the exotic collection of unique plants available to you there. Play more with the rock and ornamental pathway idea of laying out your garden. Many people have put in their own pond; pond liners are inexpensive and instructions for the novice are easy to find on the Internet or in books. A pond does not need a pump and can be small or large. However, some people prefer the use of a pump to allow the water to cascade over carefully placed rocks, etc. A pond is a small area of Zen ‘nothingness’ where nothing else resides; water is also seen as the symbol for cleansing and purification. The sound of running water is said to soothe the soul, and have a de-stressing effect on the mind. However, if taking on a pond that complex is rather daunting (and stressful!) – there are other options. Some of the self contained portable fountains where the water circulates within its own container can be found in bamboo styles. This would satisfy the need for the sound of running water; you may have to use an extension lead to operate it. A truly Japanese focal point, and one that the Zen design ideally calls for, is a small bridge. This is to take you from one world to another; specifically from the troubled world in which we live into the soothing world of your Zen garden. Bridges can be ordered from the Internet, but you have to put them together yourself. 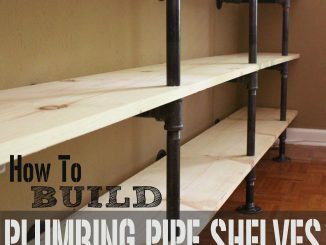 Or maybe a local carpenter will create one for you? If you buy a long shaped pond liner, you can place your bridge at one end of it and just plant tall bamboos or reeds on the far side of the bridge. This will suggest that your pond is bigger than it is and that the water runs under the bridge and past it. To protect children and to keep your garden safe, install a stainless steel grid a few inches under the water level to ‘catch’ falling children. Empty vessels and containers in stone, wood or terra cotta or another natural medium are appropriate in the Zen garden. The idea started with cracked teapots from Japanese tea ceremonies that the monks thought were too pretty to throw away. It has escalated into pots and empty vessels, and in some ways, the idea that the pot is old and was once useful ties in with the Japanese need for the reverence of age. Venerability is highly regarded and in Zen gardens this need for maturity or dignity is represented by old, gnarled tree trunks, the patina on old stone, weathered wood or silvery gray driftwood. Old stone with moss nearby and growing over the top of the stone is a well known feature. Maybe you can find your own moss by going for a country walk and lifting moss by sliding a knife underneath it. Keep it damp on the way home and try to cultivate it in your own garden. With one or more of these representations of aging, your garden is allowing the element of time to be revered. Once you have created the true Zen garden, it will have ‘shibui’: there is no real translation, but a restrained and simple elegance comes close to describing it. It should also help you to resonate with stillness as it will emanate ‘seijaku’ – peace and calm. No matter how large or small your outdoor space, there are easy ways to turn it into your new favorite hangout area. 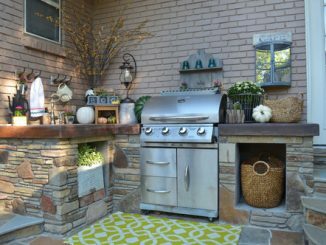 The backyard oasis and grand patio–these are two of the favorite things about your home, but you’re ready to take the patio up a notch. We’ll get back to the basics first. Outdoor furniture with substance, like sturdy wicker designs with extra thick cushions are best bets for larger spaces. TIP: If you’ve already got great patio furniture, new patio cushions can give a quick makeover with minimal effort. A weather-resistant outdoor rug will do wonders to add coziness and establish a foundational color theme. 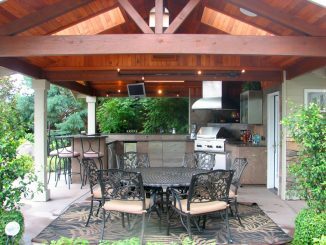 Adding an umbrella will help define your main outdoor living space-as well as provide much-needed shade. TIP: Self-standing umbrellas add a layer of flexibility, so you can rearrange and adjust as needed. The great outdoors can be enjoyed whether you’re living in an apartment, townhouse or other small space. Regardless the size, you can create perfectly wonderful living areas on your patio or balcony. 1. Add some flora and fauna with decorative patio pieces. 2. Stacking chairs are perfect for making the most of a snug space. 3. A serving tray that doubles as a table makes entertaining so much easier. When guests are gone, just fold it up and store it away. Or, try a compact metal end table with an unexpected pop of color. Invite some friends over for a spectacular dinner al fresco. Get the grill fired up & ready for outdoor cooking. There are so many deliciously easy recipes to try. A new tool we love is this veggie basket. It is, hands-down, the easiest way to grill veggies to perfection. Set the scene with colorful place settings, pitchers & beverage dispensers. And don’t forget about the outdoor lighting. Every good host knows lanterns, patio lights and candles provide the best backdrop for lively conversations and laughter. Probably the most important thing to keep in mind is that this is your retreat. There are no wrong decisions as long as you’re staying true to what makes you happy. We’d love to hear and see how you’ve transformed your outdoor space. Share with us using #AtHomeFinds! The post Creating an Outdoor Retreat appeared first on At Home Blog. As temperatures heat up, festive drinks are the perfect way to cool down. Give your summer parties the perfect final touch with these fun ideas for drink stations, no matter the occasion. This laid-back style is perfect for family-friendly backyard barbecues. Fill colorful tubs up with the kids’ favorite sodas and the adults’ favorite brews to allow everyone to serve themselves, and give your summertime get-together the casual vibe you’re looking for. Bring the beach to your backyard with a coastal drink station. This summer style is perfect for a casual lunch with friends or an outdoor dinner party. Shades of blue are an essential part of this look – just the right tones mixed together are reminiscent of ocean waters. Grab a drink dispenser and coastal accents to complete this setup – a sprinkling of seashells or starfish is a great touch! You can also give your dispenser a boost for tall glasses by placing it on top of an upside-down planter. Serve refreshing drinks like lemonade, sweet tea or fruit-infused water to keep your guests cool in the summer heat. Get ready for a great girls’ night with this drink station setup. The glam look is all about fun, metallic accents with pops of color. A mirrored tray, festive glasses and a hint of floral are the accents that top it off! Your friends will love getting together to sip on summer cocktails or their favorite wine. This setup will look fabulous on your kitchen counters, a table or a stylish bar cart. No matter your style, these drink stations are sure to please and will give your party that extra pop! Try out these trends and share your creations with #AtHomeFinds. The post Summertime Sips appeared first on At Home Blog. Memorial Day is a national day or remembrance as well as the unofficial kickoff of summer. Translation: party time! Whether you’re throwing a backyard bash or just chillin’ with some friends on your apartments patio, these items can help you hose a Memorial Day party to remember. Memorial Day only comes once a year, so why not make the most of it? Show off your patriotic pride with splashes of red, white and blue decor on your walls, patio and in your yard. Memorial Day is one of those holidays that always ends in the backyard with someone spinning pinwheels or twirling a baton. Enjoy those patriotic moments in style with these comfortable furniture selections. Who wants to be cooped up in a kitchen when you can grill delicious meals in the great outdoors? Our grill accessories can help you craft those delicious seared flavors we always associate with summer. Your party doesn’t have to end when the sun goes down. Extend the festivities into the wee hours with holiday-themed lighting that pays respect to Old Glory. Plus, find the perfect lantern, many of them less than $19.99. Bless this country, bless this meat, now out of the way, ‘cuz it’s time to eat! The best part of any Memorial Day party is the food and drink, so make sure your holiday spread is memorable. Did you throw a Memorial Day party that should go down in history? We’d love to see! The post Memorial Day Party to Remember appeared first on At Home Blog. Whether you live in the middle of bustling city, are a 20-something in your first apartment, or just don’t want to deal with a big backyard, there are a lot of ways to deck out a small patio with your signature style. Get inspired by these ideas that will add form and function to your outdoor space. Make your outdoor area work for you by selecting furniture pieces that do double (or triple!) duty. At the end of the day, you want your patio to allow you to do three things – relax, eat and socialize – and it’s easy to create spaces that do more than one. A cozy reading nook can easily be turned into a spot for breakfast or coffee with a friend! Just add a small table and an extra chair to make the most of this space. Try adding lightweight accents that can easily be tucked away when you need a little more room on the table. If you have a small patio, you need furniture that’s flexible in more ways than one. For a quick table setup, try a folding table and chairs. But don’t worry – you don’t have to resort to boring pieces just to be practical. There are lots of whimsical options for folding furniture that will fit your style and space. Your furniture can also do double duty. A cute end table that holds a candle or your favorite summer drink can easily play the part of extra chair when guests come over. 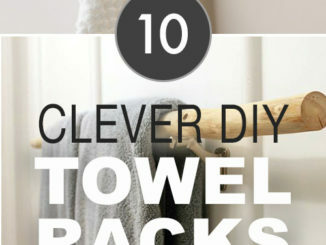 This idea is stylish and space-saving! Thinking horizontal? Think again. If you have a small patio, it’s important to take advantage of vertical space to make the most of your décor options. Lighting, plants and storage can be taken off the ground and put up in the air to give you more room. Vertical planters are a great way to add plants to your patio or outdoor area. Wall or floor options can both work well, as long as they get your greenery off the ground. 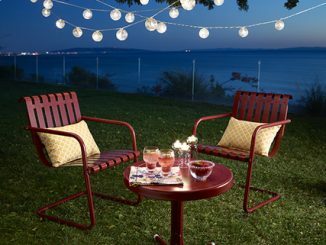 String lights are another great way to save patio space. They add ambiance and a festive touch to your outdoor oasis without adding bulk. Don’t forget the floor! 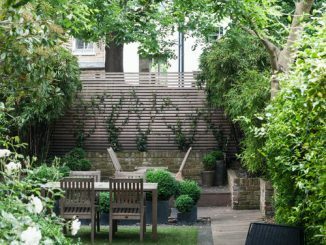 Defining your outdoor space will help you take advantage of your small patio. Rugs help set boundaries and come in all shapes and sizes. Two small rugs could divide your tiny patio into two areas – one for eating and one for relaxing. Rugs can also add a bold pop to a drab apartment balcony or patio. Try a bright pattern or a bright color. Or, if your furniture or accents are what you want to pop, try a clean, neutral rug that adds comfort to the space without overwhelming it. We want to see how you’ve spruced up your small patio! Try out the tips above, then share your creations with us using #AtHomeFinds. The post Small Space. Big Style. appeared first on At Home Blog.